Mid summer is here, which means it's blueberry season around the greater Capital Region. And there are a bunch of places where you can pick your own. Blueberries are are easy to pick (on bushes about waist high), relatively cheap (usually about $3 per pound), and they freeze beautifully, so you can stock up for later in the year. 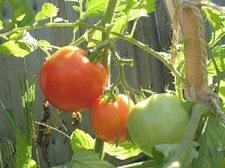 Picking them on a beautiful summer morning is almost meditative. 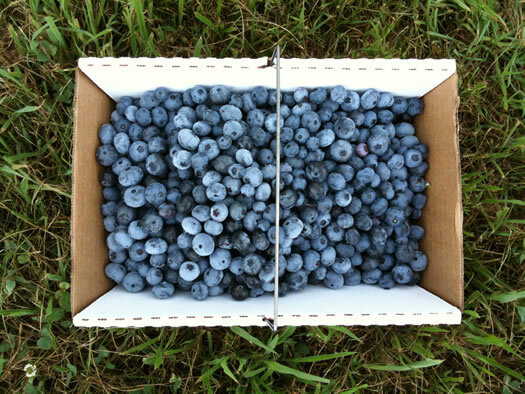 Here's a list of farms around the region for PYO blueberries, along with a few details. New York State produced more than 800,000 gallons of maple syrup during this year's season. That's the highest total in 74 years, according to the Cuomo admin. 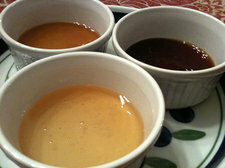 The maple syrup production of both Vermont and New York State has been on an upswing since the start of this century. And in just the past five years their running three-year averages are up 50 percent. One of the reasons: There have been major shifts in technology, as producers have switched over to use miles of tubing and vacuums to collect sap, and then reverse osmosis to remove some of the water before boiling. Here's an interesting Washington Post article from this past spring about the way the industry is changing, and how the growth is attracting the interest of private equity and companies looking to scale. Maybe the biggest question, though: Is New York's pancake industry ready to step up to the challenge? Strawberry season is here! A few farms opened their pick-your-own strawberry fields this past week, and a bunch of others will be doing so this week or next. It seems like this year's season is more or less on schedule, though a few farms have noted that some cold and wet weather earlier this year delayed things a little bit. A typical strawberry season at many farms in this area only lasts a few weeks, though some farms have strawberries for longer stretches -- even most of the summer -- because their fields include a range of varieties that produce at different times. When you're at the farm stand, ask about the varieties the farms are growing. In our experience people are happy to talk about what's available, for how long, and why. It's also a good idea to call ahead or check the website before heading out. Here are a handful of places in the greater Capital Region that you can pick your own strawberries. Know of a good place not on this list? Please share! March is almost here, and that means maple syrup in New York. Maple Weekend is a chance for the public to come to the farm to learn about New York's maple sugarmaking processes and traditions and to provide a chance to taste pure maple syrup in its many forms - right from the source. The Maple Weekend website has a map of participating maple syrup producers around the state, including a handful here in the greater Capital Region. As an upstater, you know that maple syrup production is dependent on temperature and how it affects the flow of sap. Many farms will be in action collecting sap and boiling it ahead of those weekends -- example: Riverside Maple Farms in Glenville started boiling this week. And some of these farms have regular visitor hours, so check ahead and you might be able drop by for a more low-key experience. 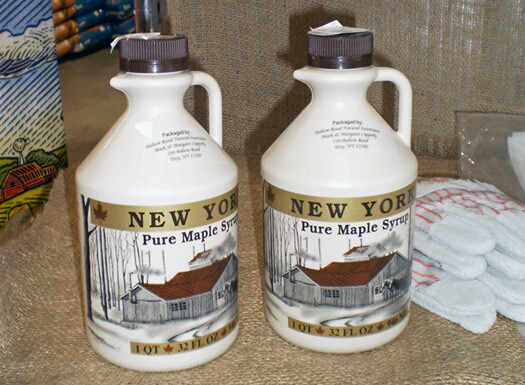 New York State is the #2 producer of maple syrup in the United States. * And production here has been on an upswing in recent years, setting new records for the state. * #1 is Vermont and it's not even close. The Green Mountain State accounted for 46 percent of US maple syrup production in 2017. New York's share was almost 18 percent. These trees will grow apples with a different accent. 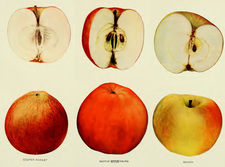 On a small plot off to the side of an orchard in Kinderhook, there are rows of apple trees with names that are probably unfamiliar to even the most ardent apple lovers in America: Yarlington Mill, Kingston Black, Dabinett, Tremlett's Bitter. That's understandable: These apples are not from around here. They're varieties that originated in England. And they have the sort of dry, astringent accent that registers right away. So bracing is the flavor of these apples that you wouldn't want to eat them. And that's OK -- because they're meant for drinking. Blueberry season has begun around the greater Capital Region. And there are a bunch of places where you can pick your own. Blueberries are just about our favorite PYO crop because they're easy to pick (on bushes about waist high), relatively cheap (usually about $3 per pound), and they freeze beautifully, so you can stock up for later in the year. We first met Melissa Parade as part of the AOA Startup Grant contest last fall. She's been working to start a farm and community programs at the Tivoli Lake Preserve in Albany. 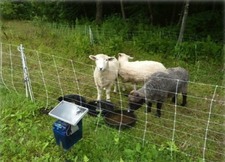 In the time since, she's assembled a herd a sheep that she's been keeping at Albany's Normanskill Farm. And in just a few weeks they'll be making the move over to Tivoli as The Farm on Peaceable Pastures. 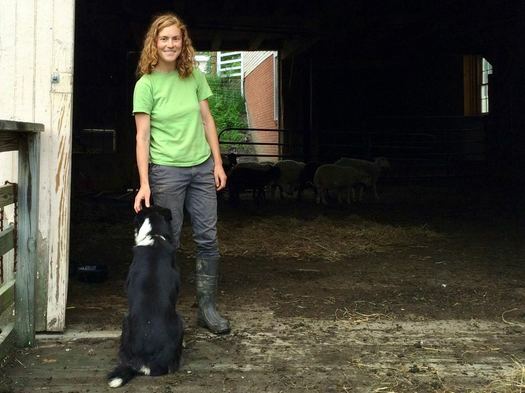 We met up with Melissa at a barn just up hill from the Normans Kill last week to talk about the challenges of becoming a farmer, shaping a business plan, and the occasional errant sheep. Strawberry season has arrived! 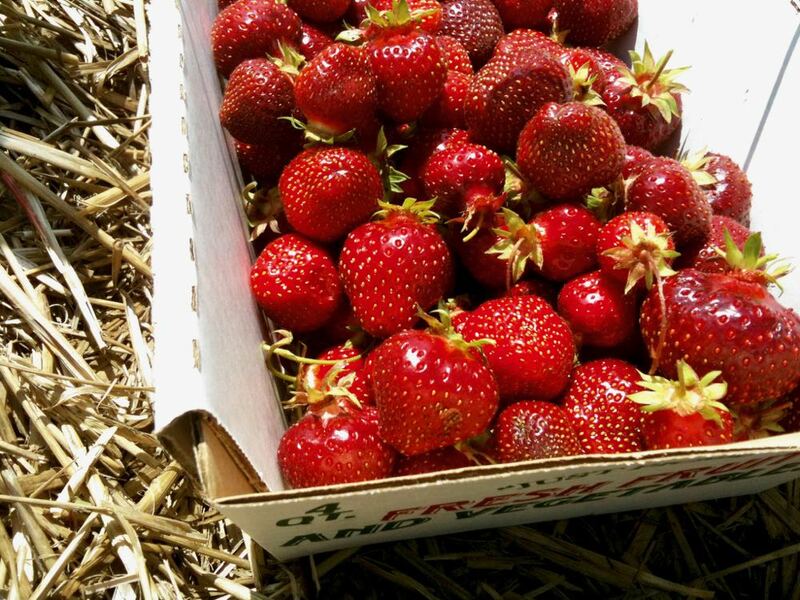 Many local farms just opened pick-your-own strawberry fields this week, and others will be doing so shortly. All that cold, cloudy, wet weather a few weeks back held up this year's crop. Multiple farms have noted that things are a bit behind schedule. But it sounds like the recent sunny weather has things rounding into shape. This could be a good way to learn more about CSAs if you're been curious: Takk House in Troy is hosting a CSA fair April 15 from 11 am-2 pm. The event is a collaboration between the Hudson Valley CSA Coalition, Hudson River Exchange, and Glynwood. CSA Fairs provide an opportunity for local residents to learn about the vital role Community Supported Agriculture plays for independent farms, to shop around the various shares available and sign up for their Seasonal Share. 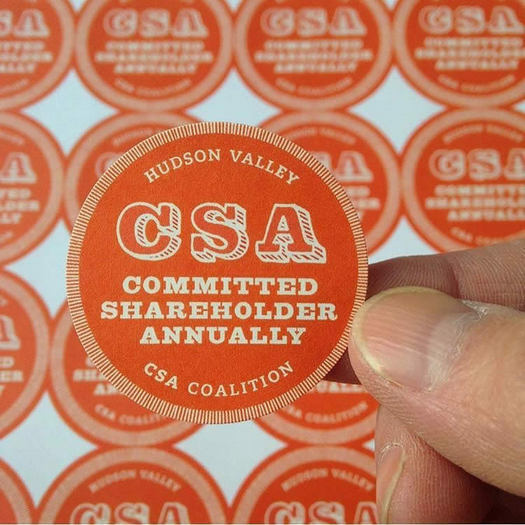 From fruits and vegetables to herbal wellness to meat and dairy, CSA shares offer community members access to the diversity of farm fresh products - and land based wisdom - that make Hudson Valley living plentiful and enjoyable. The event at Takk House will include reps from Colfax Farm, Denison Farm, Field Apothecary, Laughing Earth Farm, Roxbury Farm, and Soul Fire Farm. Also: "Remember to bring your checkbook for share deposits and be entered to win on-site sign up giveaways when you buy a share at the event." Hudson River Exchange advertises on AOA. Blueberry season recently started around the greater Capital Region. And it is an Official Summer Thing To Do. Blueberries are just about our favorite pick-your-own crop because they're easy to pick (on bushes about waist high), relatively cheap (usually about $3 per pound), and they freeze beautifully, so you can stock up for later in the year. 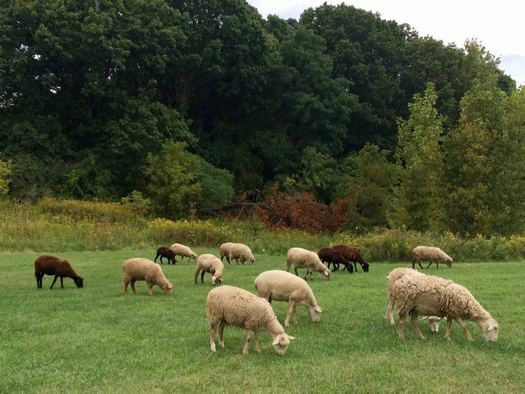 If Gary Kleppel's name rings a bell, you might remember that he's the UAlbany biologist who's been studying the use of grazing animals to combat invasive weeds. A bunch of years ago he ran a similar project at the city's Normanskill Farm. Over at the Times Union, Chris Churchill recently talked with him about the Tivoli project. And, of course, you know about the city using goats to eat invasive weeds at the Loudonville Reservoir, a project that has continued this year. About the Tivoli Preserve: The city of Albany has been planning a series of upgrades for the land on the north side of the city between the Arbor Hill and West Hill neighborhoods, and we hear there will be some specific details coming up in the next few months. New York State set a new modern record for maple syrup production this year, the Cuomo admin announced Friday. The Empire State produced 707,000 gallons of syrup, according to numbers from the from the US Department of Agriculture. That's up from 601,000 gallons last year. And it keeps New York at the #2 spot nationally, holding off a surging Maine with 675,000. Better luck next time, Pine (Not Maple) Tree State. Of course, Vermont continues to dominate the field, where they're just playing a different game. Strawberry season is here! 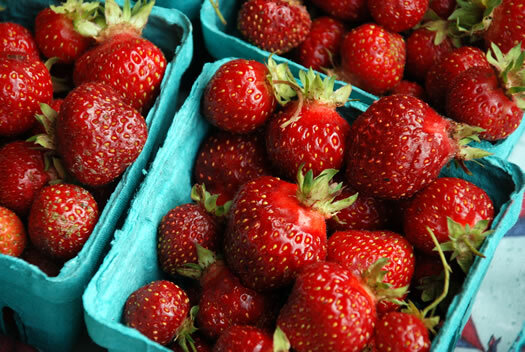 Many local farms are just opening for pick-your-own strawberries, or will be very shortly. We get the sense this year's crop is maybe a little slow in arriving because of some of the cool weather. And the early warmth in spring further complicated things. Agricultural fact of the day: New York State produced almost 3.6 million pounds of honey in 2015, according to numbers from the federal government. * That's up almost 9 percent from the year before. 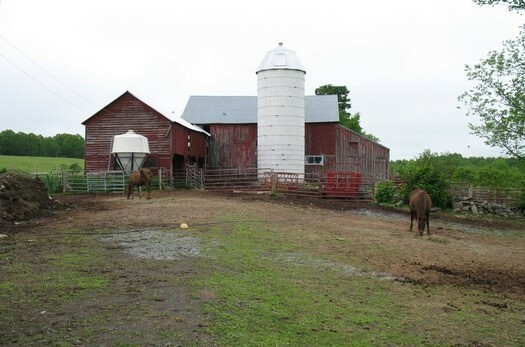 Soul Fire Farm in Grafton, new York was born in Albany's South End in 2006. Soul Fire is both a beautiful working farm and a unique, nationally recognized educational center. 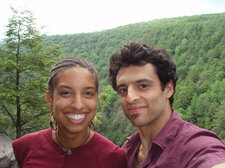 Leah Penniman and her husband Jonah Vitale-Wolff's mission is rooted in a commitment to fighting racism and dismantling oppressive structures that misguide our food system. Using strategies like day-long educational workshops to reconnect youth to their innate belonging to land, leah is working so that everyone, regardless of class, color, or creed, has access to fresh, healthful food and an understanding of how to grow their own. This will be a lively presentation and discussion about the connections between producing healthy food, youth empowerment, and social justice. 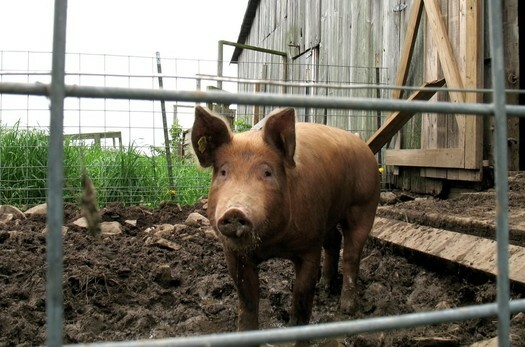 Here's a 2014 profile of Soul Fire Farm over at Civil Eats that includes some more backstory. The event is Thursday starting at 5 pm in the city hall rotunda. It's free. 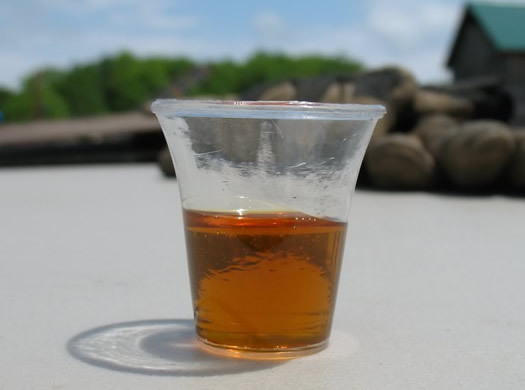 Every spring, the members of the New York State Maple Producers Association invite families and friends into their "sugar houses" to experience the world of pure NY maple syrup. 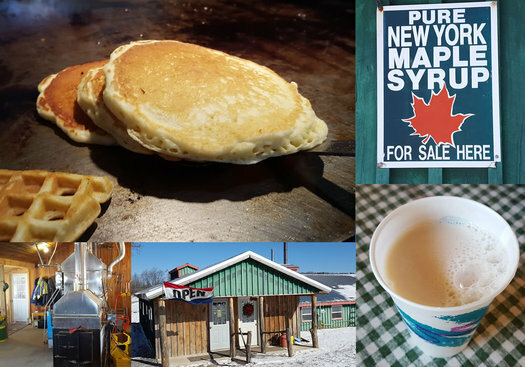 Located at approximately 160 farms and museums across New York State, Maple Weekend offers a delicious, fun-filled outing that has a little something for all maple-lovers to taste and experience. There are a bunch of participating spots around the greater Capital Region. Many of the producers offer free samples and tours, and there will be maple products for sale, of course. The maple sap season is dependent on the temperature -- this year's season got an early start because of the mild winter. So if you're interested in going to one of these places and seeing everything in action, the first weekend could be a better bet than the second. State of maple: New York State is the nation's second biggest producer of maple syrup (after Vermont) -- and last year it produced a record amount, more than 600,000 gallons. The farm animals will be in their winter quarters. Among the animals to see are goats, sheep, llamas, alpacas, donkeys, laying hens, geese and guinea fowl. The tour will last approximately an hour. 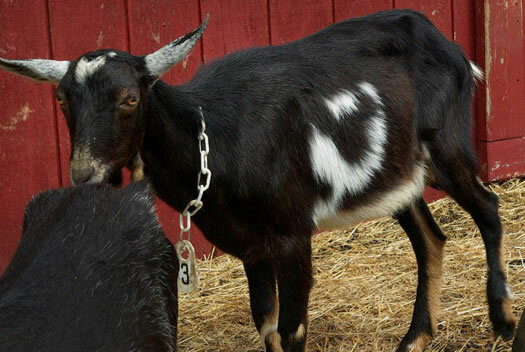 If the name Heather Ridge Farm rings a bell, it's the same farm that provided the goats for the "goatscaping" project at Albany's Loudonville Reservoir. And the farm has also been offering a series of monthly supper club dinners, of which we've heard many good things. Back in the 70s and early 80s, my father-in-law raised animals. Steers, a few pigs, turkeys, and the freezer often had some hunted venison. Most of that had stopped by the time I started hanging around in the early 90s. In December of 2003, the first case of mad cow disease was discovered in the US. A few weeks later at a New Year's party, my father-in-law asked, "If I did cows again, would you want in?" Being a little too into all things food -- and a bit drunk -- I was game. And I'm glad I was. Because there is no doubt the experience has changed the way I cook and eat. It's bittersweet, but in effort to balance my growing family life with my professional responsibilities, I have arrived at the very difficult decision to offer my equity stake in FarmieMarket.com up for sale. FarmieMarket is my firstborn -- I am fully committed to seeing it and its member farmers reach their full potential. As such, the time has come to hand over the day-to-day operations and marketing to a person or firm that has the time, resources and expertise necessary to grow the market to its fullest potential. That said, I am eager to stay involved if the buyer is willing (either as a board member, or volunteer advisor) to help guide FarmieMarket in its mission of cultivating a sustainable market channel that supports the long term profitability and economic viability of small, family-owned, environmentally- and socially-responsible local farms. If you, or anyone you know, may be interested in carrying the torch please contact me via email or private message. 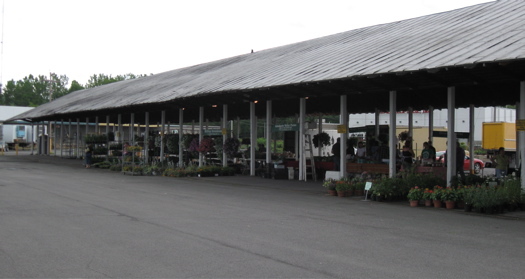 Gordon started FarmieMarket in 2010, originally as Heldeberg Market, as a way to market and sell products grown on farms in the Hill Towns of Albany County to a wider audience. (Gordon was inspired by the experience of her family's grassfed beef farm in Berne.) Customers place orders online and the products are delivered one day a week. At each farm, guests will sample specially selected cheeses while experiencing first hand the region's long-standing cheese making traditions reaching back to the nineteenth century. All are active farms, raising cows, sheep and goats that supply the milk for the cheese-making process. A few years back Tim wrote a recap of the tour, which can you give a sense of how it goes. If you like cheese + farms (and farm animals), it's a pretty good bet you'll like the tour. The participating farms will be open for touring from 10 am to 4 pm on Saturday, September 12 and Sunday, September 13. The tour is free. On Sunday, August 23 the Honest Weight Food Co-op is hosting a "Meet Your Maker" event to preview the cheese tour. 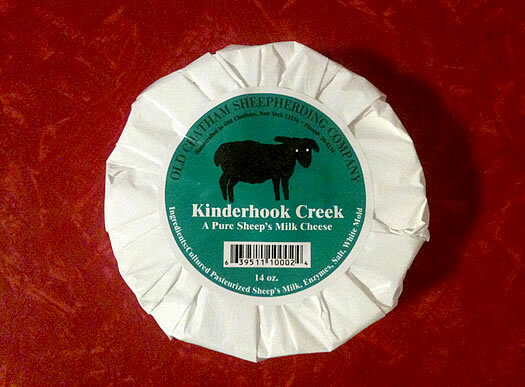 Cheese makers from farms on the tour will be there from from noon-2 pm offering samples and talking about their farms. New York State produced more than 600,000 gallons of maple syrup this past spring, according to numbers from the US Department of Agriculture. That's good for #2 in the nation. And the Cuomo admin says that's the state's highest total in 70 years. The sappy record is especially notable because this past maple syrup season was just 26 days long. It was 40 days long when the state set its last "modern" record in 2013. The amount produced is the most since 1944, the last year before the beginning of a long drop-off in the number of tree taps and the yield of syrup per tap. New York's resurgence began in 2008 as vacuum pumping systems began to replace the metal tree taps and hanging buckets that have signified maple syrup farming for centuries. The New York State Maple Producers Association estimates that 60 percent of maple farms, including most of the larger farms of more than 500 taps, use vacuum systems to collect raw sap. The modern vacuum system is easier for producers to maintain, which has helped increase production per tap. The average tree tap produced a little more than one quart of syrup this year, though some large farms are seeing yields of a half-gallon or more. Vermont maple syrup is an interesting case because the state has been experiencing some sort of Maple Miracle over the last decade. So much so that Quebec -- the Saudi Arabia of maple syrup -- has been warily eyeing its neighbor to the south. Strawberry season is here! Many local farms have recently opened for pick-your-own strawberries, or will be very shortly. It seems like there's a fair amount of variability across farms this year -- some have gotten an early jump and others are still waiting for their berries. If we get a few sunny days following this rain, things could move along quickly. 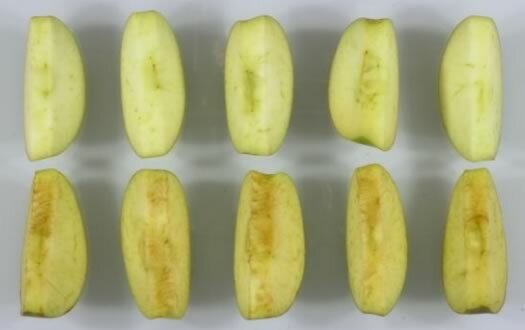 Okanagan Specialty Fruit -- the company that developed the apples -- is projecting that small test-market quantities of its non-browning Golden Delicious and Granny Smith apples will available by 2016. 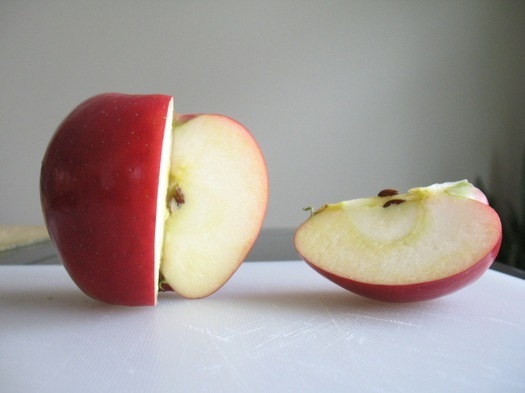 The commercial idea here is that non-browning apples will open up more opportunities for sliced apple snacks, and reduce food waste. 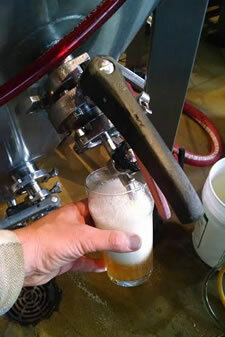 Interesting: The Albany Pump Station is offering a beer called ILF IPA on tap this week -- the beer was made by C. H. Evans Brewing Company entirely with hops and barely grown at Indian Ladder Farms in Altamont. There's a reception of sorts for the beer this Thursday, December 4 at 5 pm at the Pump Station. 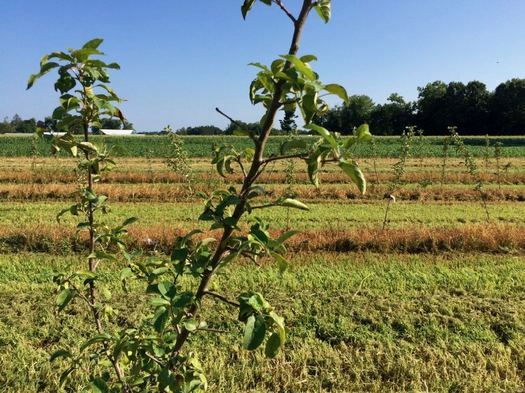 "This excellent hoppy beer shows what New York State brewers and growers can do when they get together," said Dietrich Gehring, who grew the hops and barley on Indian Ladder Farms, in Altamont, New York. Gehring provided the brewery with 500 pounds of malted barley and 25 pounds of hops, including a local heirloom variety called the Heritage Helderberg Hop, which was discovered growing wild on an old farm in Albany County's Hilltown region and is now being propagated by Gehring. The barley was even malted in New York at Farmhouse Malt in Newark Valley. 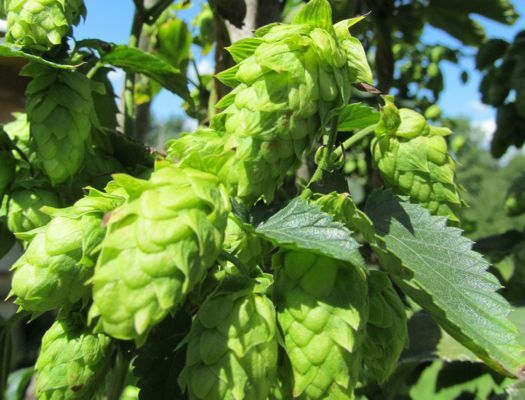 Check out Greg Back's tour of The Helderberg Hop Farm from last year over at In The Name of Beer. Gehring and his wife, Laura Ten Eyck, are currently working on starting the Indian Ladder Farmstead Brewery and Cidery. In the meantime, the've been working with C.H. Evans and Other Half Brewing Company in Brooklyn. Noted: Yogurt is now officially the official snack of New York State. The Cuomo admin announced Wednesday morning that the governor had signed the bill making it so. As you well know, New York has been the biggest producer of yogurt the last two years, thanks in part to the Greek yogurt boom and companies such as Chobani and Fage. Also: Empire State cottage cheese and sour cream -- call your lobbyists, it's time to get them earning their pay. New York was the #1 producer of both dairy products in 2013. (The Empire State rules cottage cheese.) So where is your official state designation and summit, huh? Where to get good peaches? Hey AOA, is there anywhere to go pick your own peaches around the capital region? 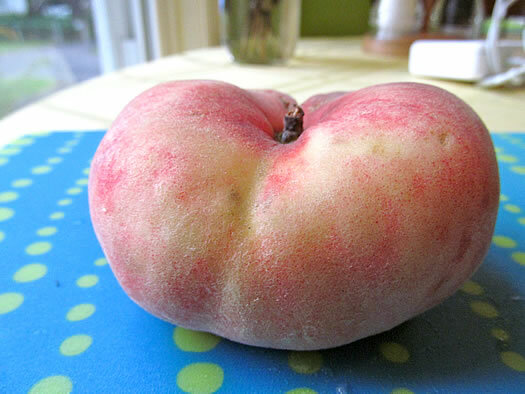 For whatever reason, PYO peaches appear to be a rarity around here. Maybe because the fruit is relatively fragile and growers want to make sure their trees are picked with care. Maybe just because peaches aren't as plentiful around here as, say, apples. That said, there are some places to score good peaches. We have had some really nice peaches from Golden Harvest in Valatie this year. And in the past we've gotten different types of good peaches from Maynard Farms, which sells at the Schenectady Greenmarket. Know of PYO place for Julie? Or even just a good local farm or farm stand for buying peaches? Please share! 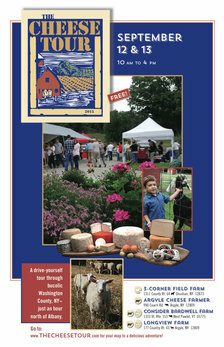 The annual Washington County Cheese Tour is coming up in less than a month -- it's September 6 and 7 this year. It is pretty much what it sounds like: a self-guided tour to a handful of cheese-making farms in Washington County (and one in Vermont). I sampled some of the best, most complex cheese I have tasted in a long time. It's amazing to me how many different flavors artisan cheese makers can pull out of milk. The cheeses ran the gamut from hard, soft, pungent, and mild, raw, pasteurized, aged, and young. One thing united them, though. They were all delicious. And while the cheese event is only once a year, you can get the cheeses year round. The participating farms will be open September 6 and 7 from 10 am-4 pm. The tour is free. Cheese tour preview: The Cheese Traveler in Albany is hosting a tour preview at its shop on Delaware Ave this Thursday (August 14) from 5-7 pm. Blurbage: "Come meet the cheesemakers and enjoy cheeses from five Washington County creameries, paired with beer from Rare Form Brewery and accompaniments by The Cheese Traveler." It's $25 per person. The Cheese Traveler advertises on AOA. 1) The bushes grow about waist or chest high, so there's not a lot of bending or reaching. 2) The berries tend to be cheap -- usually between $2-$3 dollars per pound. 3) They freeze beautifully, meaning we can load up on berries during the summer and enjoy them months later. One reason for the apple shortage is historical. 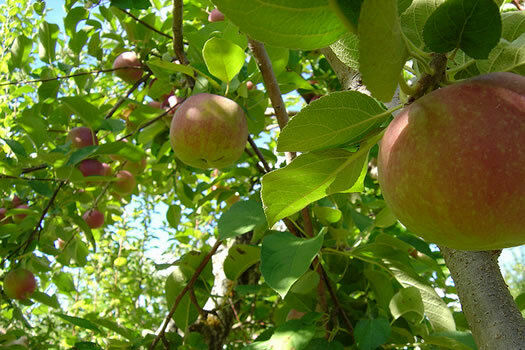 During Prohibition in the 1920s, trees known to bear hard cider apples became targets of axe-wielding FBI agents. 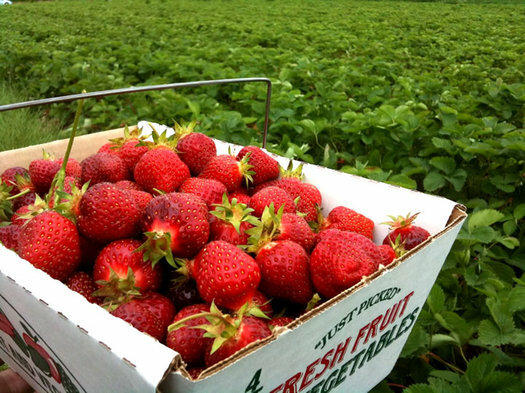 Strawberry season in the greater Capital Region has arrived! Many local pick-your-own farms are now open for the season. Many farms just opened PYO during the last week or so. The cold spring and some of the rainy weather of late has apparently held back -- or sort of paused -- many of the strawberry fields. But the recent run of sunny, warm weather has things picking up, and this coming weekend is looking like prime berry picking. New York State was once again the largest producer of yogurt in the country in 2013, the Cuomo admin reported Tuesday based on numbers from the federal government. It's the second straight yogurt production title for the Empire State, besting California both last year and in 2012. New York factories produced 741 million pounds of yogurt in 2013, according to the Cuomo admin's quoting of USDA stats (it doesn't appear the state by state numbers have been posted yet). That's up almost 7 percent over the year before. For 2013, NYS was responsible for about 16 percent of the national production total. By the way: The Cuomo admin reports New York was also the third biggest producer of milk in 2013, and the biggest producer of both cream cheese and cottage cheese. Earlier: "What if the pretzel was dipped in yogurt?" A screengrab from the site. Local farmers often struggle to market their products to chefs and other wholesale consumers, with whom their schedules conflict. The Virtual Veggie Mobile provides a way for consumers to communicate with farmers and shop local markets when it is convenient for them. The site gives farmers the advance notice they need to produce only what is in demand, eliminating the risk of food waste. CDCG will take on the responsibility of delivering orders, enabling farmers to spend less time away from their crops. One of the things we've heard from a few local farmers and restaurateurs in the past is that the prices all the players are seeking don't necessarily match up. Basically, many smaller-scale local farms are looking to sell their products at retail prices, but restaurants are looking to buy them at wholesale prices. (Obviously some of the players find a way to make it work because local farm ingredients do show up on local restaurant menus.) So it will be interesting to see if this marketplace can help smooth out that gap. 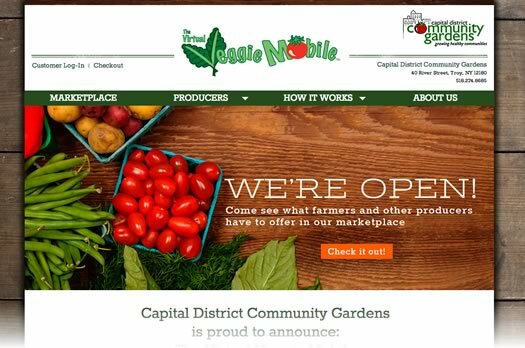 CDCG says the Virtual Veggie Mobile will also eventually allow low-income families to purchase products through the marketplace. It's kind of remarkable that this area has three online local farm products services, now with the addition of the Virtual Veggie Mobile. It joins the already-established -- and more end consumer focused -- services FarmieMarket (an online farmers' market) and FieldGoods (sort of like a virtual CSA service). Agricultural fact of the day: New York is 16th in the country for honey production, and by far the biggest producer in the Northeast. The Empire State produced 2.6 million pounds of honey last year, worth about $5.3 million, according to the USDA. By the way: North Dakota is far and away the largest producer of honey in the country, according to the USDA. It's 33 million pounds of honey was more than twice that of Montana and South Dakota's totals at #2 and #3. Given the other stuff that comes through here from North Dakota, we're kind of wondering now why we can't (also) have a honey transfer depot at the Port of Albany. So this is a thing, apparently, and it's a thing from New York that will be showing up in stores in this month: maple water. You know another word for maple water? Sap. Not boiled down into syrup. Just "minimally" processed sap. As temperatures warm and maple sap starts flowing, gallons of it are collected and boiled down to make syrup. 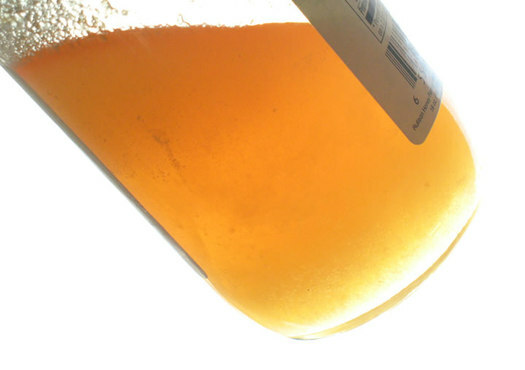 But the subtly sweet watery sap also tastes great straight from the tree, said Michael Farrell, director of Cornell's Uihlein Forest in Lake Placid and author of a recently released comprehensive maple guide, "The Sugarmaker's Companion." If the popularity of coconut water is any indication, there could be a big market for an all-natural product that is mostly water with a bit of sweetness and minerals, Farrell said. In taste tests conducted at Cornell's sensory laboratory, participants preferred maple water to coconut water, he added. The success of the product would be a big boon to the state's maple producers and forest owners, Farrell said. 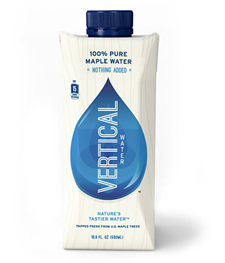 Cugnasca is now working with members of the New York Maple Producers Association near its western New York bottling plant to supply sap for the first batches of Vertical Water. As mentioned above, the commercial product is called Vertical Water, and it comes in one of those Tetra-Pak containers with a screw top. Also, from the company website: "The ideal temperature for drinking it is the temperature when it first comes out of the tree: around 40Â°F." How does it taste? Over at Slate, L.V. Anderson writes (asterisk added): "It tasted like ... slightly sweet water. * The maple flavor was so mild as to be almost impossible to discern." And a tester for Business Insider concluded: "All it needs is vodka." Why do we get the feeling Canada is laughing at us right now. + A new way of producing maple syrup: "like a sugar-filled straw stuck in the ground"
This calf was born this week at Gordon Farms in Berne. It's calf season there. Sarah Gordon -- her dad, Sandy Gordon, owns the farm, -- snapped the photo. She says they're expecting 22 calves on the farm between now and early April. 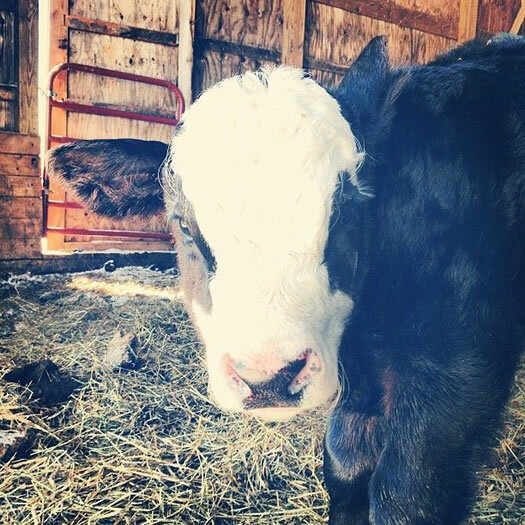 The Angus-Hereford are usually 65-75 pounds when they're born. 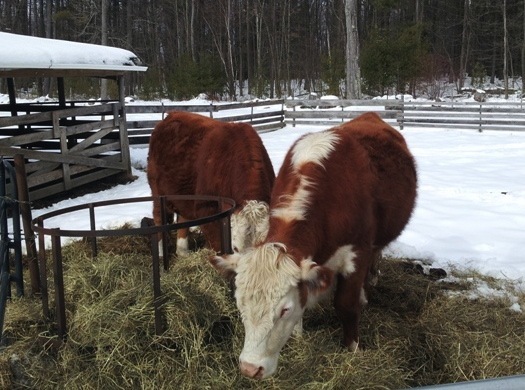 Gordon Farms raises grass-fed cattle. (Their beef is available through FarmieMarket.) We got a tour a few years back, and visited the cows out in the pasture. Baby animals. Spring must be near. A new way of producing maple syrup: "like a sugar-filled straw stuck in the ground"
Their new technique uses tightly spaced plantations of chest-high sugar-maple saplings. These could be single stems with a portion -- or all -- of the crown removed. Or they could be multiple-stemmed maples, where one stem per tree can be cut each year. Either way, the cut stem is covered with a sealed plastic bag. 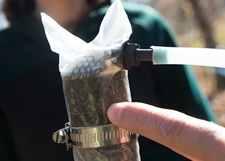 Under the bag, the sap flows out of the stump under vacuum pressure and into a tube. VoilÃ , huge quantities of sap. "We got to the point where we should have exhausted any water that was in the tree, but the moisture didn't drop," says Perkins. "The only explanation was that we were pulling water out of the ground, right up through and out the stem." In other words, the cut tree works like a sugar-filled straw stuck in the ground. To get the maple sugar stored in the trunk, just apply suction. [T]he news of the plantation system has been a lot to chew on since we learned of it. We are relatively new to the trade but have come to love it, one of the principal reasons being our interaction with the thousand acres of forest behind our home. Like Dave Folino, I fear that the industry will no longer be special to New England but will be usurped by entrepreneurs anywhere with the right climate. And on a more visceral level, I feel that maple syrup is and should remain a product of the wild. Aside from mushrooms and game meat, the woods of Vermont hardly yield anything edible. And yet, this exquisite sugar can be extracted from the trees while still leaving them healthy and the forest a home to everything from rare wildflowers to bob cats. For me, knowing its origins elicits an amount of pleasure equal to tasting its unique flavor when I drizzle it over morning pancakes. Finally, I ponder what will happen to the acres of working forests if landowners are no longer making an income from them through tapping the trees. It would be unrealistic to expect all of those landowners to choose conservation. 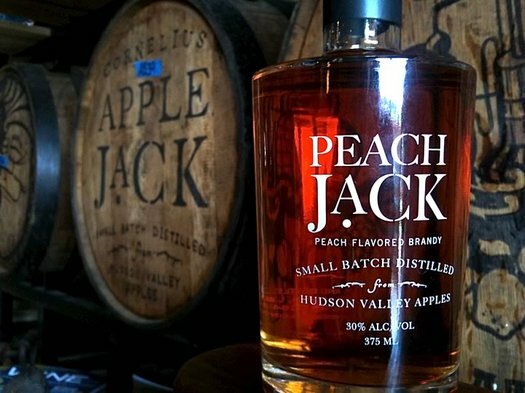 The craft beer/spirits industry is booming, and there's a been a lot of attention over the last few years in New York State on "farm" breweries, distilleries, wineries, and (most recently) cideries. 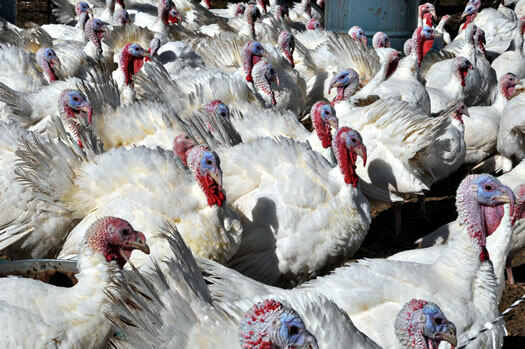 The state has passed legislation that makes it easier/cheaper for these small scale operations -- if they use a specified amount of agricultural products from New York. The goal is to help foster an end-to-end industry in the state: crops are grown here, products are made here, and they're sold here. For the past year, the Carey Institute has been working to start a model farmstead brewery in Rensselaerville. 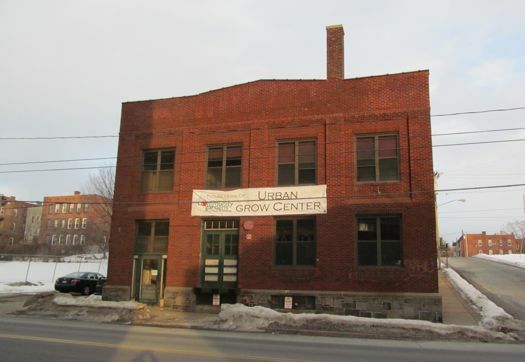 The aim of the project is to create a new economic development and social networking hub, bringing farmers, brewers and the Capital Region community together. 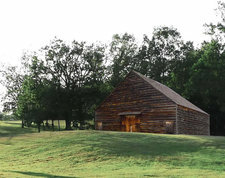 The Carey Institute has partnered with CSArch, an Albany architecture firm, to reconstruct a 1760's New World Dutch barn donated by Randolph J. Collins from the town of Guilderland. This icon of local history will be erected on our campus and adapted to house New York State's first farm-to-glass classroom and farm brewery incubator. Here, we will provide start-up brewing space and educational opportunities to emerging farm brewery enterprises, cultivating economic opportunities for farmers and brewers in New York State's budding farm-to-glass industry. 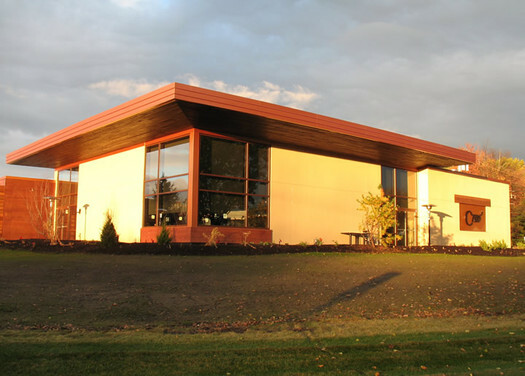 The Carey Center has a kickoff fundraising event for the project lined up for November 16, from 5-6:30 pm. I am 73 years old and need to reduce my workload, so I will no longer sell honey at farmers markets and other retail locations. October 31 will be our last day in operation. I will still be selling bees and taking care of my approximately 200 hives. The honey will be sold in 60 pound buckets. Thank you, thank you. We have tried hard to offer quality products, and your response has been truly wonderful. It has this decision extremely difficult. Dr. Seuss says, "Don't cry because it's over. Smile because it happened." Please join me. 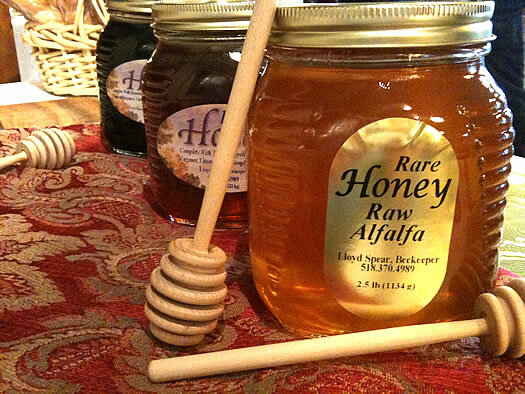 Lloyd Spear honey has been a staple of farmers' markets in the Capital Region, where both Lloyd and his honey won many fans. Last year in an Eat This! for AOA, Daniel B. talked with Lloyd about his honey-producing process, and explained what set his honey apart from the stuff you usually find. So... it's time smile -- and stock up. Other local honey? With the news of Lloyd Spear's retirement, Christina asks via Facebook: "Any suggestions for other local honey retailers?" 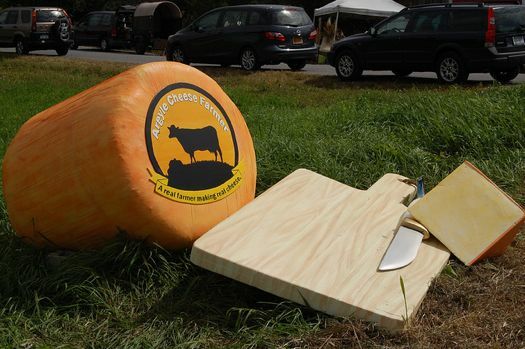 The annual Washington County Cheese Tour is coming up September 7 and 8 (10 am - 4 pm each day). The free self-guided tour includes stops at a handful of cheese-producing farms within a 10-mile radius. The farms will be giving out samples and talking about their cheese-making processes. The participating farms this year: 3-Corner Field Farm (Shushan), Argyle Cheese Farmer (Argyle), Consider Bardwell Farm (West Pawlet, Vermont), Longview Farm (Argyle, Sugarloaf Farm (Fort Ann ), and Sweet Spring Farm (Argyle). Tim went on the tour a few years back and shared a good recap with us about finding his "cheesy bliss" on the tour. In honor of the Washington County Cheese Tour, the Confectionery in Troy has lined up a "cheese tour premiere" -- a tasting of seven cow, goat and sheep cheeses from the Washington County farms -- Thursday night (tonight, August 29). The cheeses will be paired with craft beer. The tasting from 6-8 pm tonight. Tickets are $30. 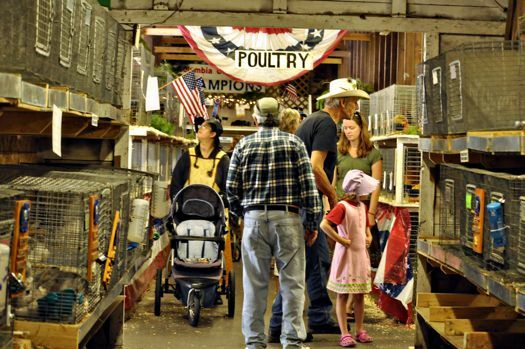 We're right in the middle of county fair season in the Capital Region. For a lot of people, that means rides on the Ferris wheel, games, and food on a stick. 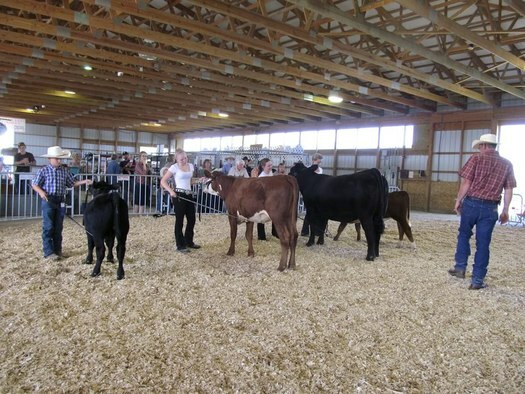 But for some kids the county fair is the culmination of months, even years, of hard work. It's a step toward a future career. It's an opportunity to compete. It's a chance to win a ribbon. Strawberry season in the greater Capital Region is starting! Many local pick-your-own farms are now open for the season, or will be very soon. A typical strawberry season in this area usually only lasts a few weeks -- so don't wait too long. FarmieMarket -- the local online farmers' market -- announced today that it's expanding in the Hudson and Mohawk valleys. Starting June 12 it will serve customers in Columbia, Greene, Otsego, Herkimer, Montgomery and Fulton counties. 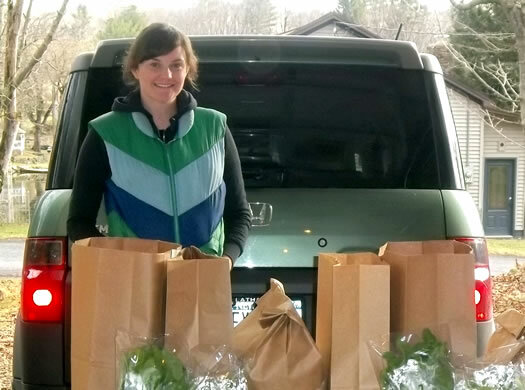 The roots of FarmieMarket were planted in 2010 when Sarah Gordon started Heldeberg Market to connect farms in the Hilltowns of Albany county with customers in Albany County via online ordering and weekly deliveries. 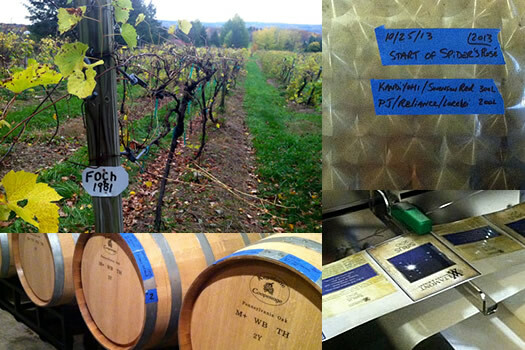 She expanded to all four core counties of the Capital Region in 2011 under the FarmieMarket banner. Last year FM expanded to include Dutchess and Ulster via a base in Poughkeepsie. Gordon grew up on a farm -- her dad runs a grassfed cattle farm in Knox. The online farmers market idea grew out of thinking about how to connect the farm with new customers. 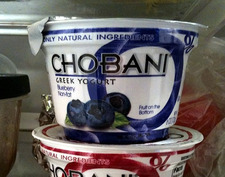 For every three or four ounces of milk, Chobani and other companies can produce only one ounce of creamy Greek yogurt. The rest becomes acid whey. It's a thin, runny waste product that can't simply be dumped. Not only would that be illegal, but whey decomposition is toxic to the natural environment, robbing oxygen from streams and rivers. That could turn a waterway into what one expert calls a "dead sea," destroying aquatic life over potentially large areas. Spills of cheese whey, a cousin of Greek yogurt whey, have killed tens of thousands of fish around the country in recent years. The scale of the problem--or opportunity, depending on who you ask--is daunting. The $2 billion Greek yogurt market has become one of the biggest success stories in food over the past few years and total yogurt production in New York nearly tripled between 2007 and 2013. New plants continue to open all over the country. The Northeast alone, led by New York, produced more than 150 million gallons of acid whey last year, according to one estimate. And as the nation's hunger grows for strained yogurt, which produces more byproduct than traditional varieties, the issue of its acid runoff becomes more pressing. Greek yogurt companies, food scientists, and state government officials are scrambling not just to figure out uses for whey, but how to make a profit off of it. As you know, New York State was the nation's biggest producer of yogurt in 2012, thanks in large part to the Greek yogurt factories in the state (including Chobani). So this is a pressing issue upstate -- especially as companies to continue to expand production. And there doesn't appear to be an easy answer. Update: Chobani sent along a statement about the situation surrounding whey. It's in full after the jump. Modern Farmer: Yep, that's the new publication based in Hudson. Dairy product fact of the day: New York was the nation's top producer of yogurt in 2012, the Cuomo admin reports. Producers in the Empire State turned out 692 million pounds of yogurt in 2012 -- up almost 25 percent over the year before. That pushed New York ahead of California, whose production fell almost 7 percent. Ferment that, Golden State. By the way: Chobani founder Hamdi Ulukaya is scheduled to be the speaker at the Sage Colleges' commencement in May. * Estimate is based on production figures from USA Today and NYT in 2012. + Businessweek profile of Hamdi Ulukaya, which declares Upstate New York "the Silicon Valley of Yogurt"
You might have a picture in mind when you think about maple syrup: a bucket hanging from a tree, smoke from the chimney atop a sugar shack, sap boiling in a cauldron. 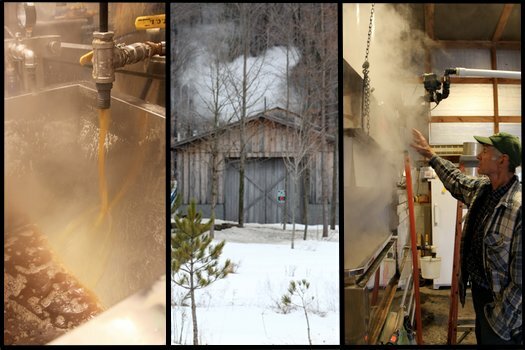 While there are places where that picture still fits, modern maple sugaring also involves a range of advances in technology: pipelines, vacuums, evaporators, reverse osmosis machines. Making maple syrup is a combination of science and craft. And in talking with two local sugarmakers, I found that there are a number of surprising factors that influence both the process and product in making maple syrup. From climate change to soil composition to bacteria in the sap, these are the elements that lead to some of the purest sweet stuff out there, much of which is coming from our backyard in upstate New York. Eight Mile Creek Farm, a certified organic farm in Westerlo. The state's certified organic farms produced products worth about $107 million. But almost half those farms had sales of less than $50,000 a year. About 40 had sales of more than $500,000. * There are farms that adhere to many organic practices, but aren't necessarily certified organic. This number doesn't include them. So, about those stories from the farm. We were talking with Regina and Frank from the goat milk dairy Goats and Gourmets last night, and they mention their "special goat." And we're like, oh... special how? The photo above is of said goat. They say the mark is naturally occurring. And, yep, they call him Mickey. Just a quick reminder that the AOA-organized farm-to-table dinner at Creo is this Thursday. The five-course dinner will feature ingredients from local farms -- and the farmers will be there to give short talks about their farms and how the ingredients were grown. It should be an interesting -- and delicious -- time. It starts at 6:30 pm. Tickets for the five-course meal are $50, (drinks and tips not included). There's an optional wine pairing for $25. There are a handful of tickets remaining -- and you can buy them online. The menu and the list of farms are after the jump. Beer enthusiasts showed up Brown's in Troy last week for the release of the brewery's annual fall Harvest IPA brew. What's so special about this brew? 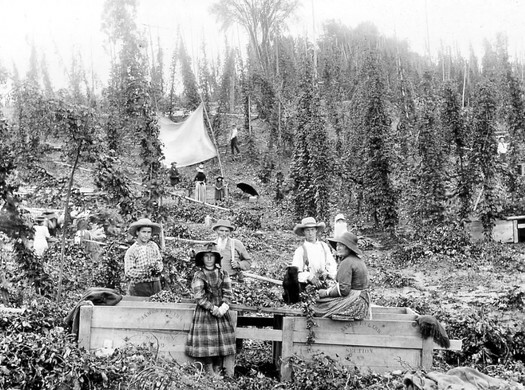 Well, for one thing, the hops used in the beer were grown right here in New York. Brown's is part of a growing movement to restore New York to what it once was -- one of the country's leading hop producers. Harder to find this year. The last days of summer usually mean the start of apple picking season in the Capital Region. But this year's warm winter, as well as April frosts and summer hailstorms, have forced many farms and orchards to choose whether to open to fall crowds at all. 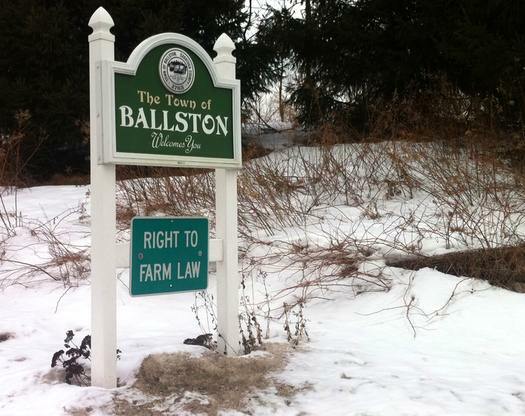 "For some farmers it was the hailstorms, for some it was hailstorms and the frost, and for some it was the hailstorms, frost and the drought," said Gillian Sherington, owner of Smith Farms in Hudson. "You name it, we had it." New York is wine country. And apple country. And maple syrup country. And cabbage country. 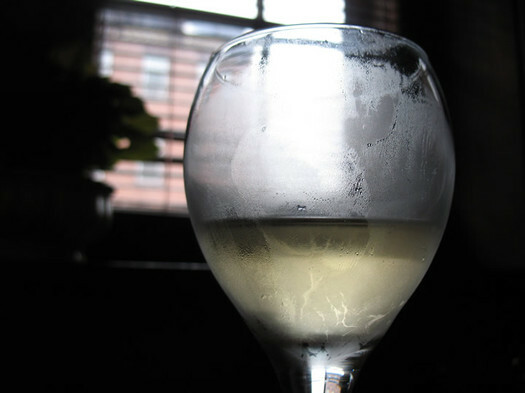 Agricultural fact of the day, via the NYS Comptroller's Office: New York State was the second largest producer of wine in the nation in 2010, behind only California. The state produced 36 million gallons of wine that year. 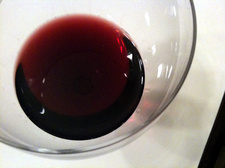 And as of 2012, the Empire State has 374 wineries -- more than triple the number it had in 2000. + Agriculture in the state produces $4.7 billion in products per year. + The state produced 553.67 million pounds of yogurt in 2011 -- more than double the amount it produced in 2008. 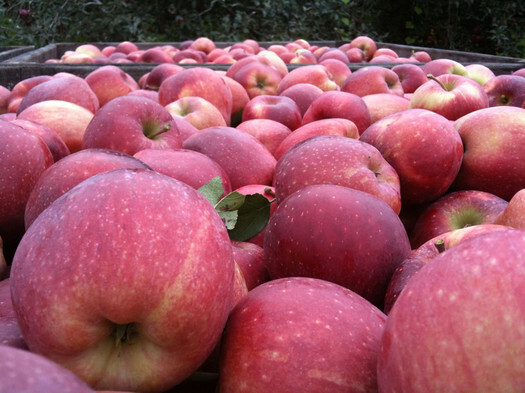 + New York continues to rank second in the nation in apple production. + New York is the nation's second largest producer of maple syrup. + And it's also the nation's second largest producer of cabbage. There are more bits in the state comptroller's report, which was released for the State Fair. 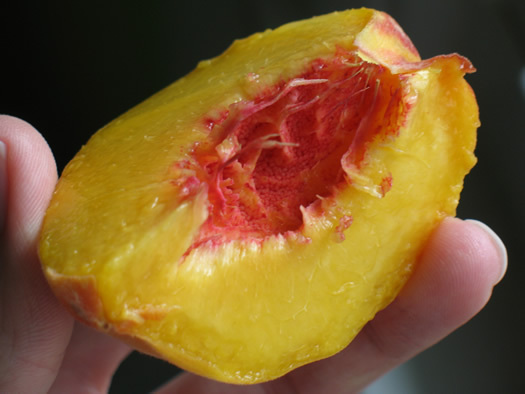 There's a secret to picking the best doughnut peaches. Tom Maynard of Maynard Farms is a fixture at the Schenectady Greenmarket. He's been selling a wide variety of peaches, plums, nectarines and pears since the market started in 2008. And he grows some delicious fruit on his Hudson Valley farm. "We try to deliver an honest-to-god good product to every customer who leaves here," he says. "My goal is for people to come here, buy our peaches and then come back next week saying, 'Wow, that was a really great peach.' Once they try it, they realize this isn't supermarket fruit." Maynard has a friendly, outgoing presence, and you can often catch him talking about the finer points of fruit with customers. I talked with him at the market recently for a quick guide on peaches and nectarines -- what separates the different varieties, how to make sure they're ripe, what the fuzz is called, and why you should look for the ugly ones. The event will take place under a tent on the beautiful and historic grounds of the Carey Conference Center, featuring hors d'oeuvres and small plates of peak-harvest, local foods prepared by the area's top chefs, craft brewery samples, and music by Black Mountain Symphony. Tickets are $40, and include food and craft beer samples. 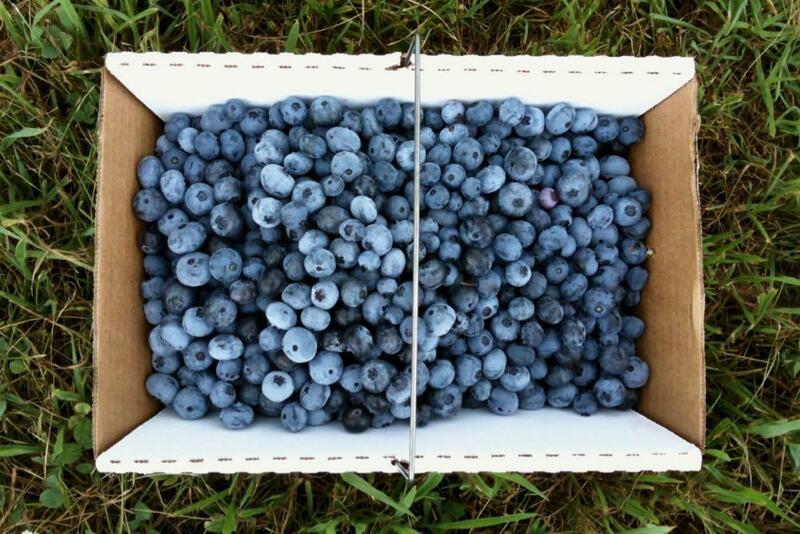 Blueberry season at Capital Region farms is starting. July is usually prime time for blueberries in this area, but it appears the season is getting a little bit of an early start. One farm we talked with today said blues are about two weeks ahead of their normal schedule -- and "everything is coming in fast." Strawberries -- and strawberry fields -- at Samascott in Kinderhook. Strawberry season has started! The local pick-your-own farms are open for the season. And it sounds like the crop has turned out OK, despite the weird spring, though some of the farms say the season will be short. A typical strawberry season here usually only lasts a few weeks -- so don't wait. It sounds like this weekend, and especially the next week, will be the prime time. We're always curious about where our food comes from. 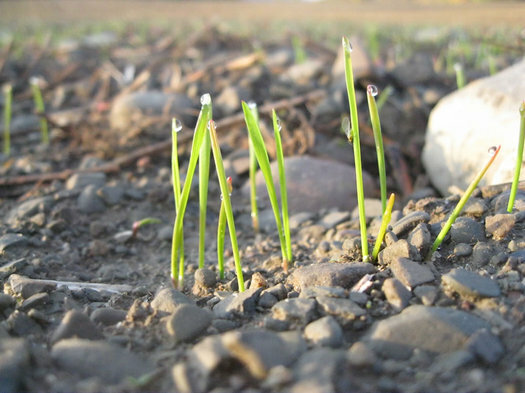 Not in an obsessive, super foodie kind of way -- it's more just being interested in how something growing in the ground, or grazing in a field, ends up on our plate. So we recently asked Sarah Gordon, founder of FarmieMarket, if she could show us around a few farms out in the Albany County Hilltowns. Sarah knows a lot of the farmers there through her work with the market. But she also grew up there -- on a farm. 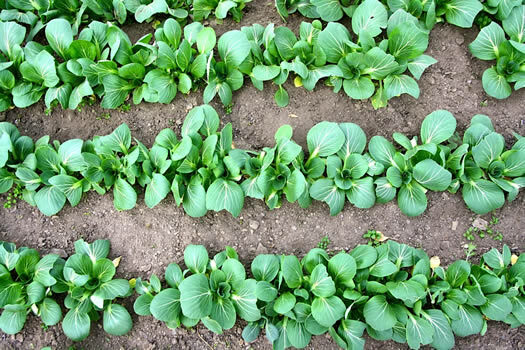 Pak choi at Kilpatrick Family Farm. I don't know about you but I'm ready for the flavorful and colorful bounty of the summer months: strawberries, cherries, tomatoes, and much much more. We are already seeing a few glimpses of what's to come with wild-foraged ramps and fiddleheads, along with asparagus and spring peas. Until then -- while we're in "winter market" season -- you can still find some crisp cooler-weather greens at your local farmers market. 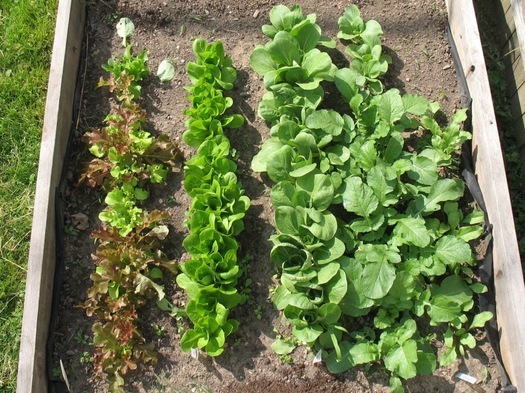 To me, there is nothing better to dine on in the drawn-out grey months of winter and early-spring than fresh leafy greens: arugula, spinach, mustards, mesclun. And then there are the Chinese brassicas: the broad, leafy greens pak choi and boy choy, and the densely-packed heads of Napa cabbage. Hands down, if you're looking for a taste of summer salad with the crunch of your summertime broad-leafed romaines and the slight watery texture of a head lettuce varieties, pak choi/bok choy has you covered for the remaining weeks of spring. I know I know, you usually add the choy to stir fries and fried rice dishes or you sautÃ© with some garlic, hot pepper flakes and oil for a more Italian broccoli rabe-inspired side, but trust me when I say, eat it raw in salads or use as a cup for lettuce wraps. It will make you miss summer BBQs and park picnics just a little less. We are lucky in the Capital Region to have a handful of farms that grow various leafy greens year-round, including Slack Hollow Farm (at the Troy Farmers' Market) and Kilpatrick Family Farm (at the Saratoga Farmers' Market), where I'm the community supported agriculture (CSA) coordinator. I recently got a tour of how these greens are grown during the cold weather. Check it out: FarmieMarket, the local online farmers market, has added a dairy to its lineup of producers. And it's a goat dairy. 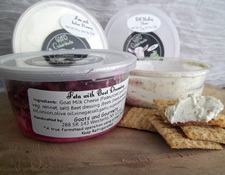 FarmieMarket is selling Goats & Gourments feta cheese in beet dressing, feta cheese in Italian dressing, dill medley chevre, and apricot-honey chevre. 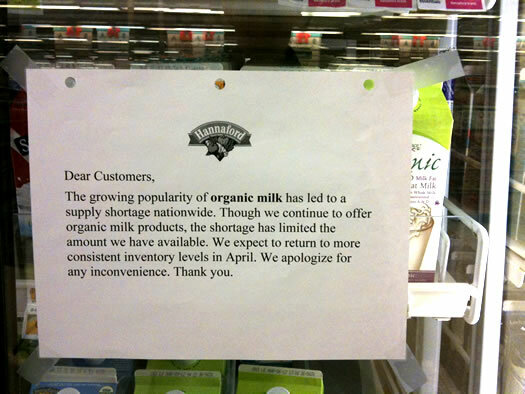 A sign on the dairy case at the Hannaford in Albany. Sarah Gordon and FarmieMarket's delivery van. All this week we'll be highlighting some of the interesting people we've gotten to know over the past year. We have a lot of respect for people who start something new from scratch. And that's just what Sarah Gordon did last year when she launched an online farmers' market connecting farms and customers in Albany County. 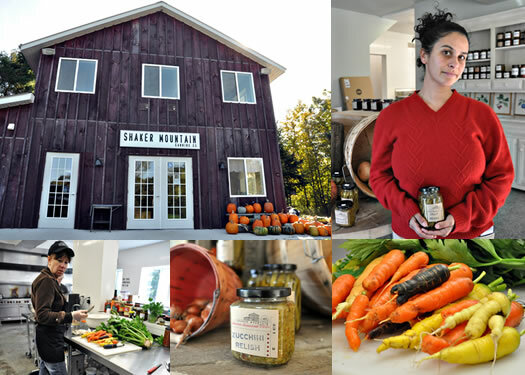 Even more impressive: she's figured out how to grow it -- this year Sarah expanded the concept to become FarmieMarket, which includes farms and customers in all four of the Capital Region's core counties. The idea for FarmieMarket comes from a very personal place for Sarah: her own family's farm in Knox. After using her digital savvy to help grow the family's grass-fed beef and hay farm, she realized she could also help other local family farms trying to carve out a spot in the market. This isn't just a business -- it's a cause. And a worthy one. Think about it: for every local family farm that's able to find its place in the modern world, there are ripple effects: open space preservation, economic development, better tasting food. So, it's safe to say we're impressed. And we think after you hear a little bit from her, you will be, too. Howard Stoner sows his oats, wheat and rye on a plot of land in Troy. Howard Stoner is ready for winter. One look at his basement and you can tell. 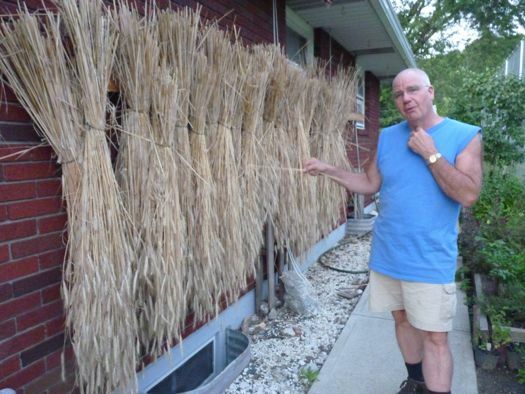 The place is stocked with 75 pounds of potatoes and other root vegetables from his community garden and 16 pounds of rye he grew on a small plot of land in downtown Troy. Yep. Stoner is growing his own wheat, oats and rye on a 350 square foot plot near the RPI football field. 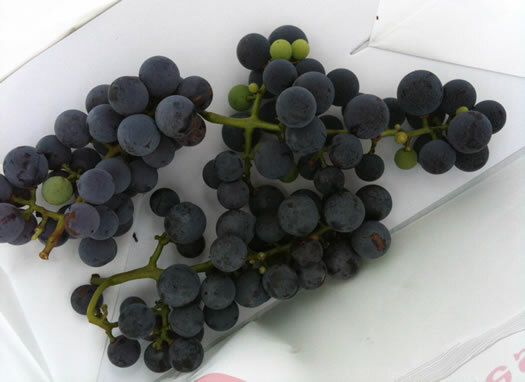 We were at Samascott Orchards this past weekend stocking up on apples when we noticed they also had concord grapes available for pick-your-own. We walked over to rows of vines and that's when it hit us: the strong aroma of grape -- and not just grape, but grape. Washington County -- cheesy... in the good way. Back in the 90's there was this DuckTales cartoon where Uncle Scrooge goes swimming in his vault full of money. My childhood dream was doing the backstroke through that vault-- except it was completely filled with cheese -- though it probably would've been generic American. These days my tastes are much more refined. Oh, I still would bathe myself in cheese if I could, but it would probably be aged in a cave somewhere off the coast of Spain instead of being manufactured in a plant in Boise. And last weekend I found my cheesy bliss on a trip through Washington County. 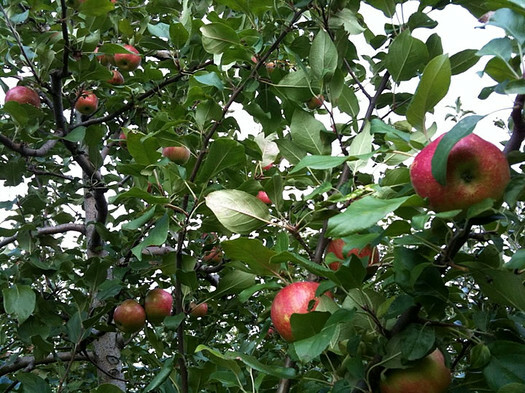 We're right in the middle of prime apple picking season in upstate New York. So we've pulled together a map/listing of places in the Capital Region where you can pick your own. Of course, apple picking isn't just about apples -- it's also about cider donuts (of course). 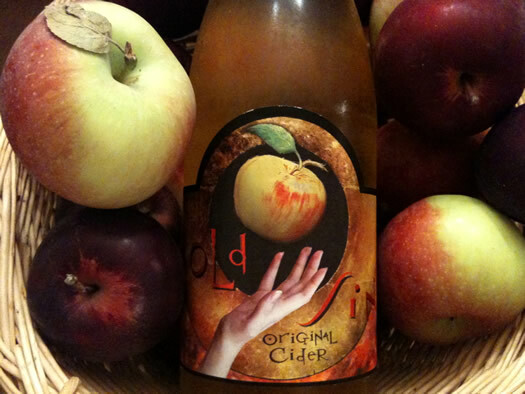 So we've also noted which orchards are selling those, plus a few other bits of helpful information. Is there a place you like to go that's not listed? Please share in the comments on this post. We'll add it. 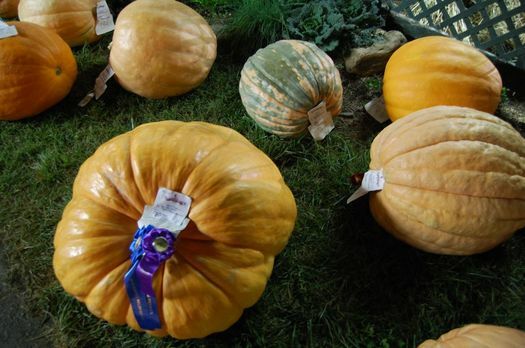 I had plans this week to write about a time honored summer tradition -- the county fair. Then Hurricane Irene decided to set its sights on much of the East Coast. Now, that rivers and creeks have invaded our living spaces, our roadways, and our farmland, the topic becomes so much more poignant. As we wave goodbye to summer through the haze of what nature's fury leaves behind, I'm thinking a lot about the people who make their living off of the land, and in turn provide so much for us. Their daily lives are a sacrifice, and things just became so much more complicated for them. But in place of the newborn chicks we expected to find huddling under heat lamps in the familiar plexiglas pen, there were only two tiny bantams strutting about in the diminutive exhibit space. Heldeberg Market started just about a year ago. It and FarmieMarket are the creation of Sarah Avery Gordon -- she's an environmental consultant, and grew up on her parents' farm in Knox. We've been interested in Heldeberg -- and now Farmie -- Market because it looks like an interesting bid to help develop the local food economy. So we bounced a few questions to Sarah today to hear about how things are going -- and where the market is headed. It is now, officially, strawberry season in New York. This year's season seems to be a little later than last. 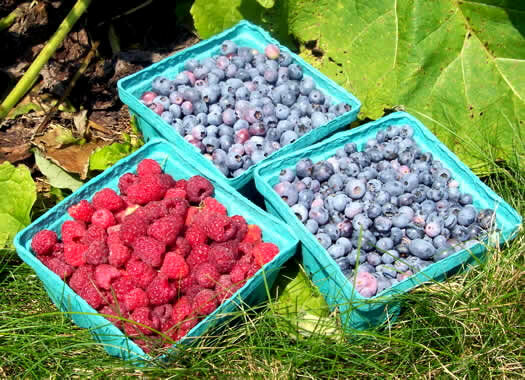 Many local farms are just opening for pick-your-own berries. But don't wait too long -- the season only lasts a few weeks. Heldeberg Market, the online farmers' market that's been serving Albany County, announced today that it's expanding to the rest of the Capital Region -- under the name Farmie Market. Heldeberg Market started last summer. It's the creation of Sarah Avery Gordon -- she's an environmental consultant, and grew up on her parents' farm in Knox. Carolyn and Frederick Wellington are passionate people who love to share their passion. 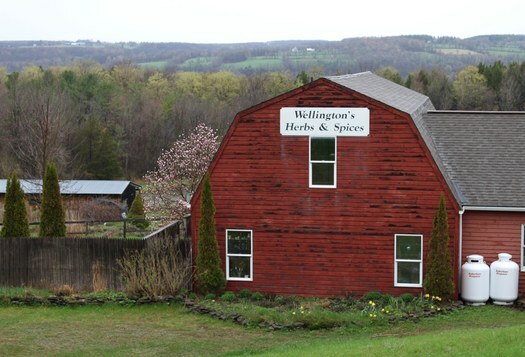 Twelve years ago they retired from their jobs in health care and higher education to open Wellington's Herbs and Spices - a 45 acre farm, store and tea shop in Schoharie. And they haven't stopped working since. Now they grow and sell fresh and dried herbs, certified organic vegetables, baked goods and lots of specialty items (think lavender vinegar and lemon verbena sugar). They also build community. They converted one of their barns to a showroom for local artists, and transformed another part into meeting space for local non-profits. Their newest program, one that they're starting this year, allows other people to work on the farm, in exchange for organic vegetables. As the debate over whether onions or corn should become the official state vegetable plows ahead, the New York Farm Bureau interjects with this important fact: the state's biggest vegetable crop is actually... cabbage, at $110 million per year. 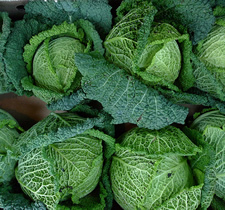 The Empire State's annual cabbage harvest ranks second in the nation, according to the Farm Bureau. The primary cabbage producing counties are in western New York. The state's number one crop? Apples, at $185 million per year. By the way: While we're on the topic of an official state vegetable, why can't we pick something cool like Romanesco broccoli (you know the fractal one). Or, give a nod to the growing small organic farm movement here with something like heirloom radishes or pea shoots. Even cabbage shows a certain desire to be different. Anything but corn. I grew up with a milk-box on my front steps, and it was an incredibly useful thing. It was my oven when I played house: The grey metal box baked pebble cakes to perfection. When the porch was my covered wagon, the box was the driver's seat. 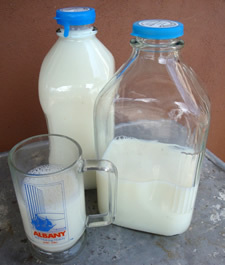 The milkman would come by in the afternoons once a week. He had a '70s mustache -- it was the '70s, after all -- and a yellow cap. If we were home when he came, we could buy chocolate milk from him, right off the truck. Barefoot in the grass, and someone drives up and brings you chocolate milk: That's the way childhood is supposed to be. I always liked getting milk delivery. It made milk somehow more special than the other foods. It was the only one, after all, that came straight to my house. It's also more expensive. 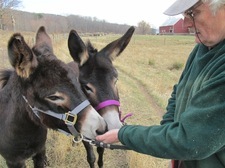 We think of it as our weekly contribution to the Support A Local Farm fund. And we love that it comes in heavy reusable glass bottles -- and that we don't have to throw a plastic gallon jug into the recycling bin every week. The Capital Region's home milk delivery options have expanded in recent years. What follows are some dairies that bring the milk from the cow to your porch -- and a little about how they do it. Real maple syrup. That's what we're talkin' about. Lfox18 says: "If you need to - charge me more but give me the real maple syrup." Bob adds: "Pancakes just ain't pancakes without the real maple syrup." And our favorite by Leigh: "I feel a little odd admitting it...but I actually carry real maple syrup in my purse when going out to breakfast." 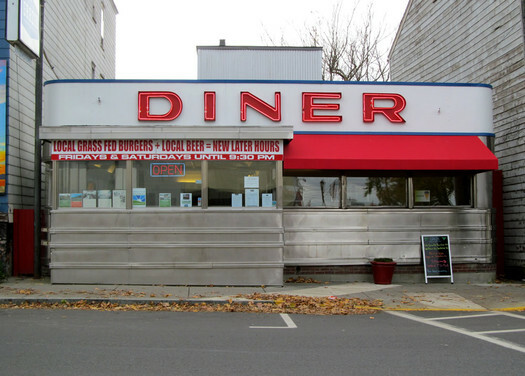 Crystal even said within the story: "We can't emphasize enough to every diner out there how gross it is to try and pass off corn syrup as maple syrup. Not the same, not even close!" And this is the time of year when it's made. So in honor of the delicious, sticky, perfect-topping-for-pancakes-and-french toast, we took a visit to the Nightingale Maple Farm in Amsterdam to see how it's done. 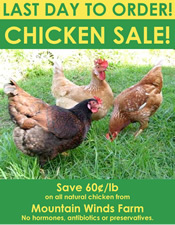 Heldeberg Market -- the local online farmers' market -- has a sale on chicken this week. "All-natural ... anti-biotic, hormone and preservative free" whole chickens from Mountain Winds Farm are roughly $3/pound. Sure, that's more expensive than what you'd pay for a "regular" chicken in the supermarket, but for a local "all natural" bird, that seems like not a bad price. And if you're wondering what you'd do with a whole chicken, we have one word for you: soup. If you want a chicken this week, you have to order by the end of today (delivery is on Thursday). Speaking of Heldeberg Market... Has anyone used this online market? How was the experience? Were the products good? + Details from Heldeberg Market's launch this past summer. 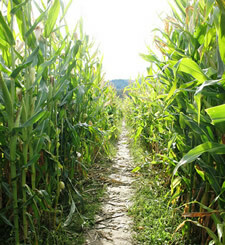 Where are the area's best corn mazes? I'm looking for a challenging, elaborate, whimsical, no child's play corn maze in the area. Got a suggestion for MattW? Please share! Before the taco this weekend, we stopped at Golden Harvest in Valatie for some peaches. They were great -- juicy and sweet, not like the peach-like objects we often find in the supermarket. (Say all you want about the advantages of local food, sometimes the best selling point is that it just plain tastes better.) We're looking forward to scoring some more peaches this weekend at the farmers market. We would normally be right in the middle of peach season, but it -- like a lot of crops -- is about two weeks early this summer. So don't sleep on the peaches. The early warm weather this year has also apparently moved the apple crop along, too. 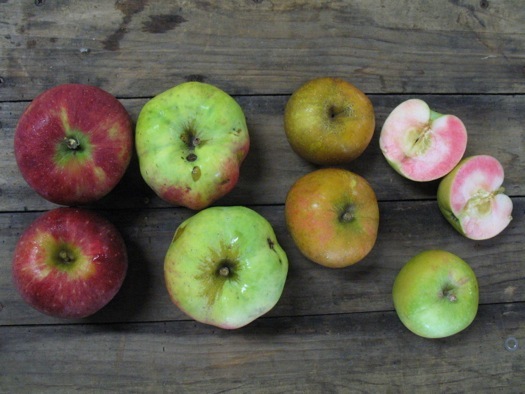 The New York Apple Association reports that some early season apples should be ready by mid-August (so, maybe this weekend). 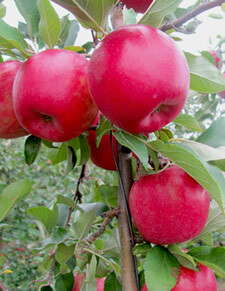 And all the sunny weather should result in sweeter apples. 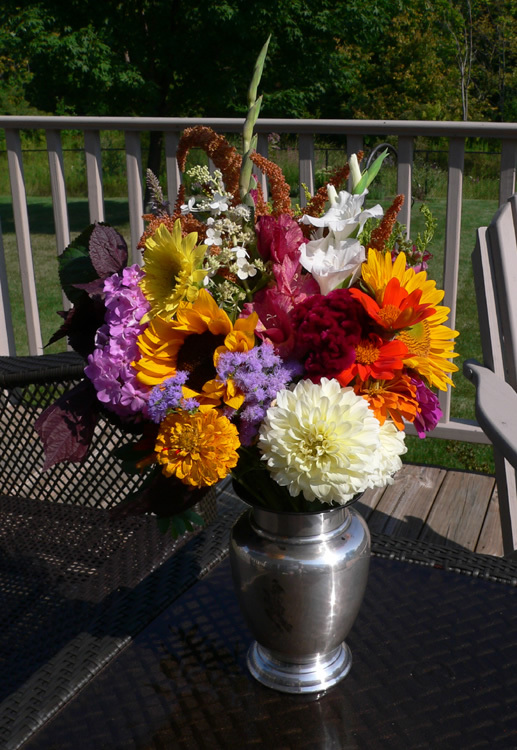 I commented a couple of days ago regarding pick-your-own-vegetables in the area, and mentioned the $5 bouquets at Oreshan's on Route 9. Today I got the kid out of the house early enough to snap one up! At the stand they sit on a picnic bench in old tatty labeled large cans... I wish I had something like that at home. There were several cars there first thing this morning. Took a photo of the bouquet on the back deck. See? Oreshan's is the best. I'm also enjoying the 40 cent gladiola stems in vases all over the house. Oreshan's is at 1242 Loudon Road (Route 9) in Latham. Click on the flowers for a better look. Hmm... there are a bunch a pick-your-own fruit places, but we're not sure about PYO vegetables. Your best bet is probably to just hit up a farmers' market or a farm stand. Of course, that doesn't give you twisting-off-the-vine experience. So, anyone have suggestions for Brian? We'll expand this a bit to include good farm stands (quality, selection). Please share! Update: Here's information for this year (2011). The warm spring has resulted in an early strawberry season this year. In fact, we are at the peak of the season, according to the New York State Berry Growers Association. Orders submitted by Tuesday at midnight are delivered the Thursday of that week to either your workplace (during the day) or home (during the evening). There's free delivery for workplaces that have five or more orders. Sausage recommended, but not required. 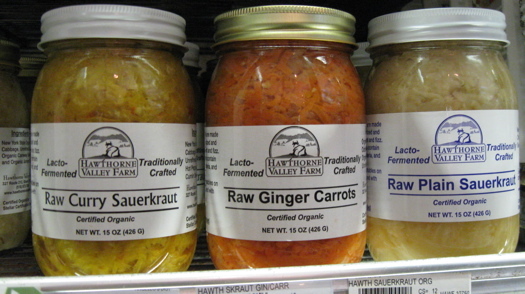 So about a year ago, some friends turned me on to Hawthorne Valley's lacto-fermented sauerkraut and now, no other kraut can compare. And it's the brain child of a guy called Sauerkraut Seth. No, really. That's what they call him. We're right in the middle of the local blueberry season. Here are a handful of places you can pick your own blueberries (and maybe raspberries, too). Farmers' markets are definitely one of my favorite things about summer and we're pretty lucky here in the Capital Region to have so many to choose from. And while I'm trying not to discriminate or be a hater, everybody has markets that they're more partial to. High on my list is The Capital District Farmers Market in Menands. Local farmers' markets are moving outdoors this weekend and there's lots of yummy, seasonal food to be had. 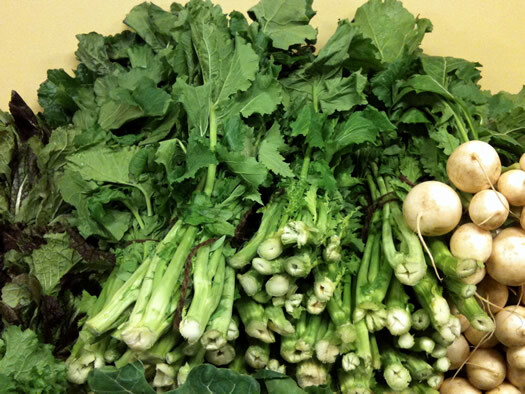 This week's bounty includes ramps, asparagus, arugula, spinach and all sorts of seedlings. Here's a breakdown of what you'll find at the weekend markets in Troy, Schenectady and Saratoga. Don't forget, the Troy market moves to its new location in Riverfront Park this week. Next week we'll have more from these and other area markets. 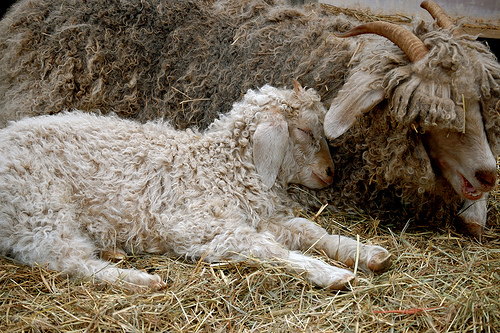 Sheep are good at keeping warm. OK, not sweaters exactly, but the um, ingredients for them. After seeing the recent post about farm shares, Ellen sent along a link to a yarn share based in the Hudson Valley. Yep, it's like a CSA for knitters. Emailed Ellen: "It's the coolest thing. I know there are lots of knitters, crocheters and spinners in the Capital Region who would love to buy yarn this way and support a working farm." The farm share started with a farm on Martha's Vineyard and later expanded to the Hudson Valley. And get this: one of the people who runs the share is former Columbia County state Assemblyman Pat Manning. Bonus yarn info: Ellen says you can also buy locally raised yarn at Saratoga Needle Arts.